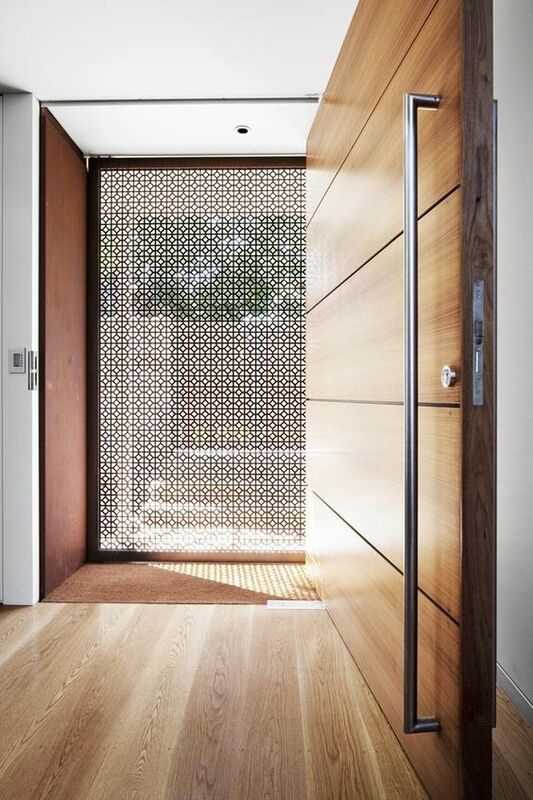 Laser-cut screens are thin sheets of metal or wood with a precision cut pattern. You can use it to enhance your home’s facades, indoors, and outdoor spaces. 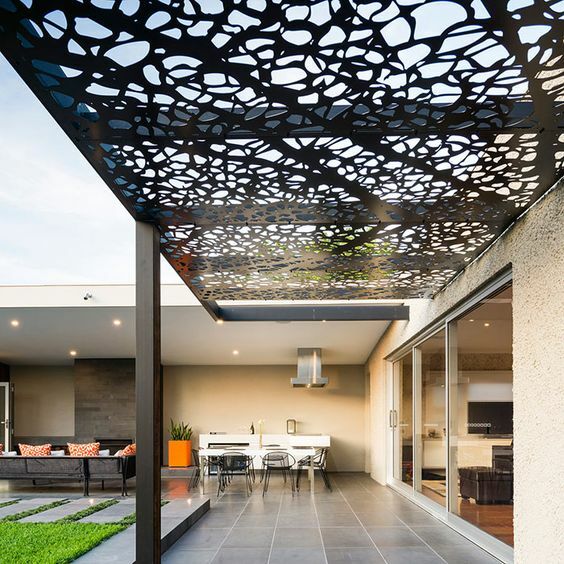 Apart from adding a wow factor in our homes, these provide privacy, protection, and shade. 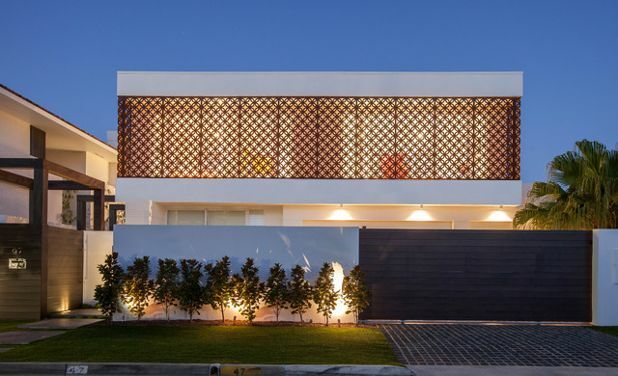 These decorative screens also support proper lighting and ventilation. Both functional and ornate, screens are functional building materials. But why should you incorporate this into your home’s architecture? While we adore large windows, we still need some privacy. Screens covering your windows will obstruct the view into and out of your personal rooms. You don’t need to worry about anyone sneaking into your personal business anymore. 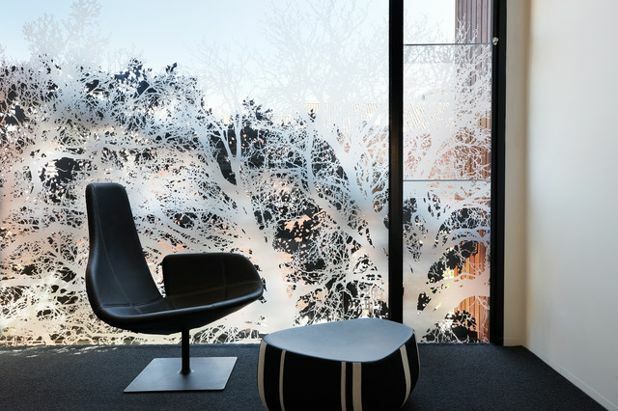 For example, this tree-inspired shadow screen blocks 70% the view from the outside. Behind it is the same screen in white to heighten the security without being obtrusive. These screens don’t block natural light from coming in your space too. Superdraft tip: Match your screen with your surroundings. There’s a wide range of patterns available in the market from abstract, geometric, botanical etc. You can personalise your own laser-cut screens as well. Screens only allow the adequate amount of natural light in your home. It blocks excess sunlight from coming in and heating your space. 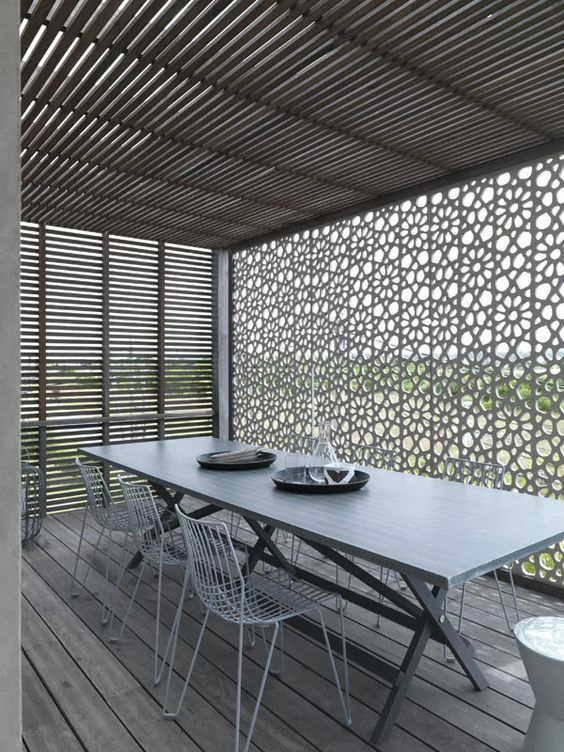 Laser-cut screens also inhibit mosquitoes and flies from entering the house. Those integrated with fine mesh keep those pesky bugs at bay. Because the design is visible from both sides of the screen, these screens cut both ways. You’ll enjoy the design from the indoors and outdoors. You can find some designs more beautiful when light shines through it. 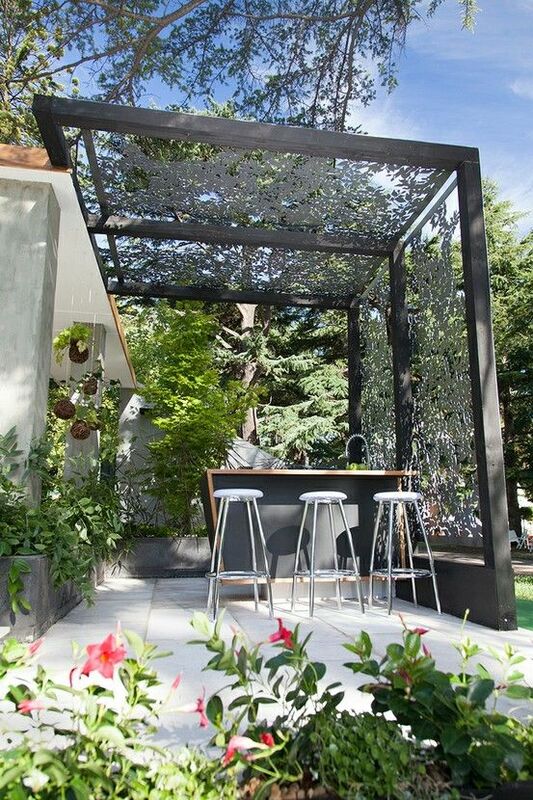 Decorative screens also function as an awning to protect your outdoor space from the elements. The greater the depth and fewer the holes mean more protection from sun and rain. Choose the one that suits your climate best. 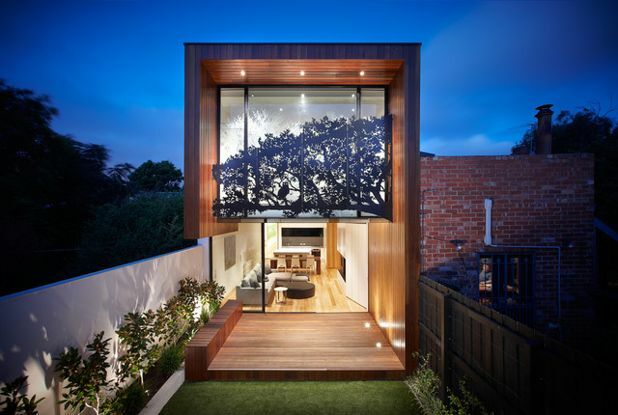 You can also use screens to enclose your outdoor space. This design offers more privacy, protection, and shade. 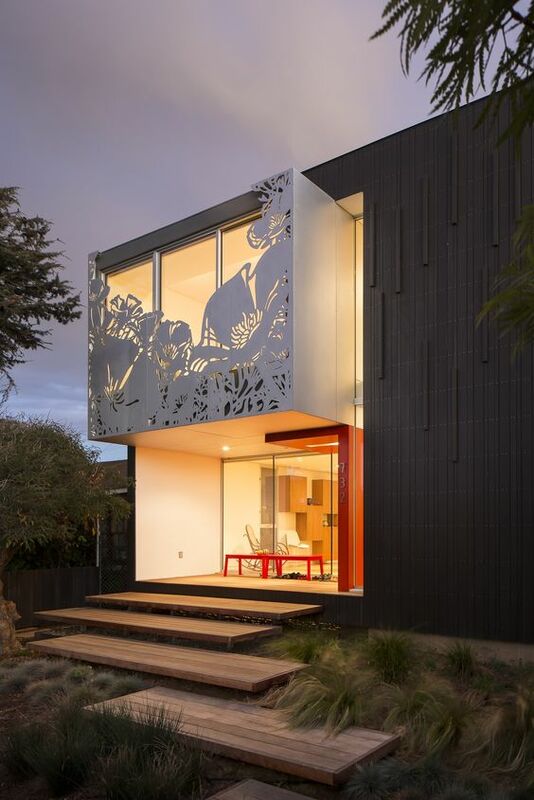 This metal laser-cut screen with floral designs enticed the window of this contemporary home. It only covers a small area but this made the entire home more interesting to people. The designers used screens as shutters of the expansive windows and stacking doors. The screen doubles as a facade decor as it already covers one side of the house. 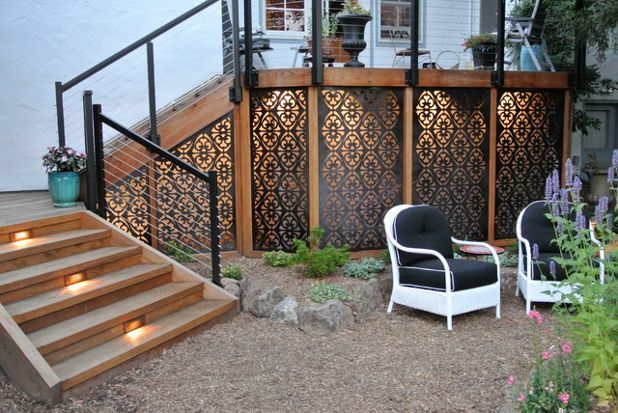 Decorative screens put a boundary between your outdoor space and your landscape. Look how this awning secured an outdoor kitchen from the forest background. The screens also act as a shield, provides shade, and allows ventilation for cooking. Screens can also blur the lines between your indoor and outdoor space. Take this fantastic barbecue area for example. 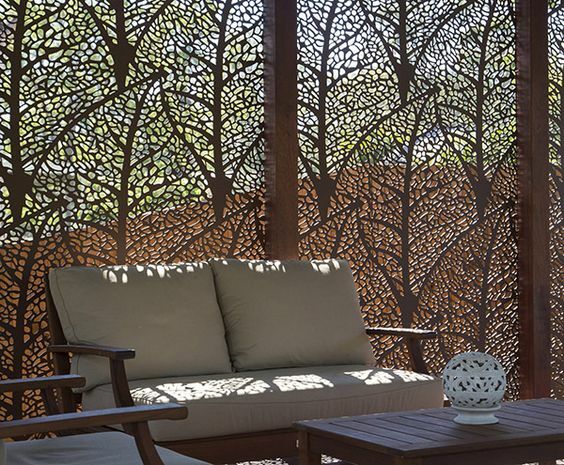 The laser-cut screens on the roof and wall completely enclosed this outdoor space. 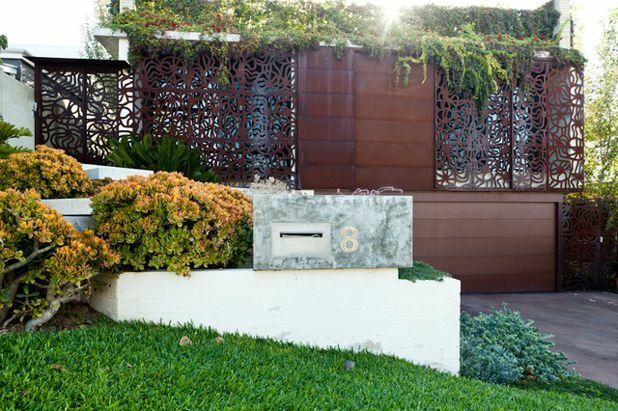 A weathering copper screen complements a lush green landscape. The design looks organic altogether. There are some parts of your house that should remain hidden. Some of those unappealing spots happen to be the space under your stairs and under your house. Decorative screens can conceal these areas and hide the horror from people’s eyes. I will also turn into a sweet element in your backyard. 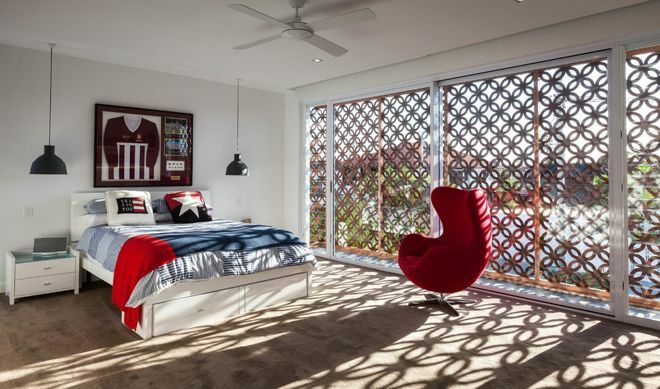 Place laser-cut screens across a huge window or door to allow adequate ventilation without sacrificing your privacy. Feel free to open your sliding doors and windows whenever you need fresh air. Screens shield your family and friends from the elements whenever they hang out in your outdoor space. 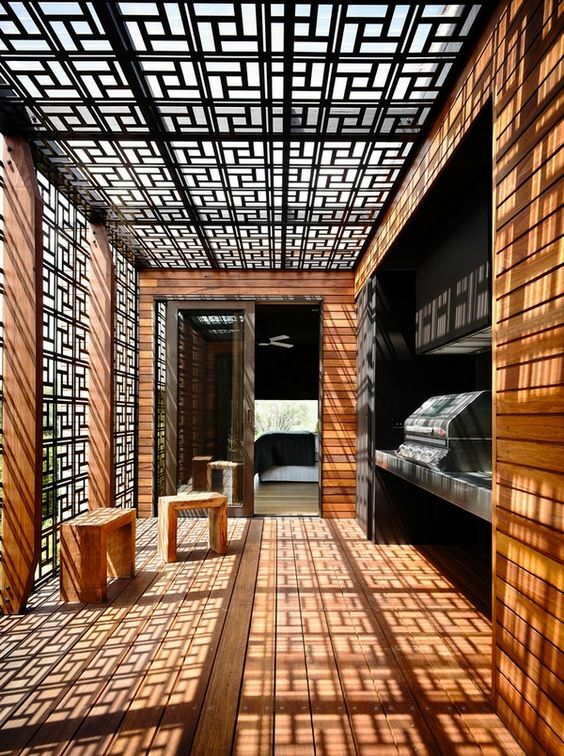 Apart from sun and rain protection, the patterns of these wooden screens can subtly seclude people from the outside world. 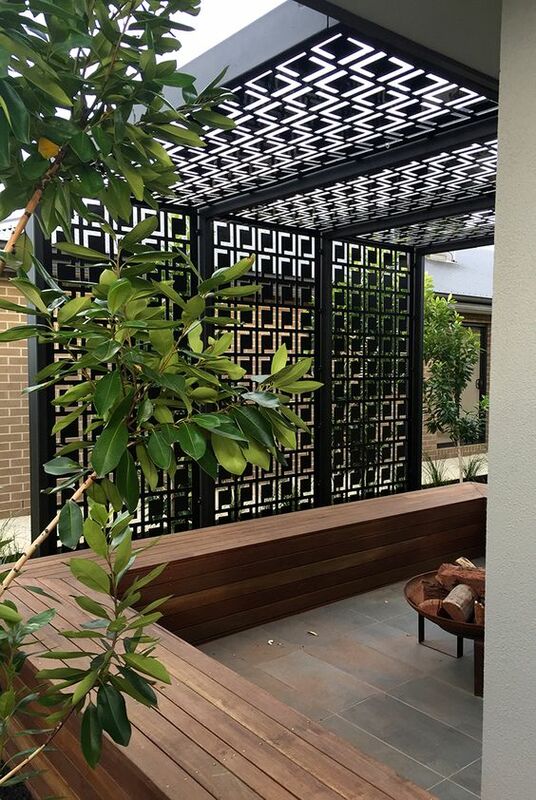 Today’s decorative screens are made of steel (stainless, mild, weathering, and galvanised), powder-coated aluminium, medium-density fibreboard (MDF), reconstituted hardwood, and marine plywood. Choose the material that suits your home’s architecture and the local climate best.